Rontis participated as an exhibitor with a Booth in LINC 2019, a medical congress associated with an excellent international reputation in Interventional Radiology, organised between the 22nd and the 25th of January 2019 in Messe Leipzig Congress Centre, Germany. Our team established an active presence in a comprehensive and international live course, committed to advancing the scientific and clinical evaluation and treatment of patients suffering from complex vascular disease. The event was highly attended by more than 5,000 guests from at least 70 different countries, who shared their insights from an array of different backgrounds in interventional radiology. Furthermore, the invited speakers presented, demonstrated and discussed the latest developments in the clinical, scientific and industrial practices aiming to work together towards the advancement of endovascular therapies. Rontis had the opportunity to welcome numerous guests in our Booth, including company representatives, physicians, business partners, potential distributors and project collaborators, with whom we discussed a variety of scientific trends, technical and clinical issues pertaining to the use and development of Rontis endovascular devices, as well as current and potential business collaborations. 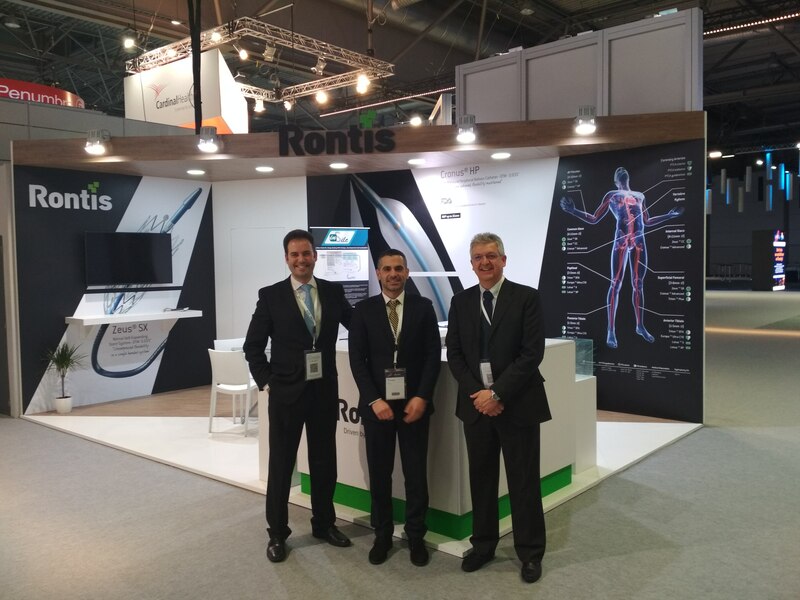 The Rontis portfolio of peripheral endovascular medical devices was demonstrated and discussed in detail through scheduled or spontaneous appointments, while we had the pleasure of attending most of the talks and presentations included in the congress’ scientific program. Following the completion of our first and successful participation in LINC 2019, we look forward to participating in the next LINC in 2020.